We currently carry out work for major car rental/lease firms at their location. No more transporter and/or driver costs. 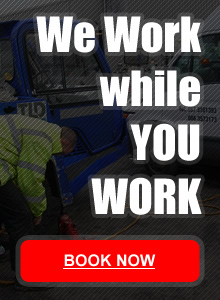 Our services eliminate unnecessary wages associated with down time for drivers and service personnel during regular business hours. Our services allow your company to focus on its core business.